Andrian Candu, for the first time, is making a trilateral visit to the US to demand full and active engagement of the United States in the region. This visit comes after the joint commitment to promoting security policies and reforms for the European integration of the three Eastern Partnership champions, assumed at the Chisinau Conference on March 2 and institutionalized in Kiev by creating the interparliamentary Assembly Moldova, Ukraine, Georgia. "This is a historical visit due to its composition and format. Because it supports the regional cooperation project launched in Chisinau together with Georgia and Ukraine to face the challenges and risks we have, including security in relation to the Russian Federation. 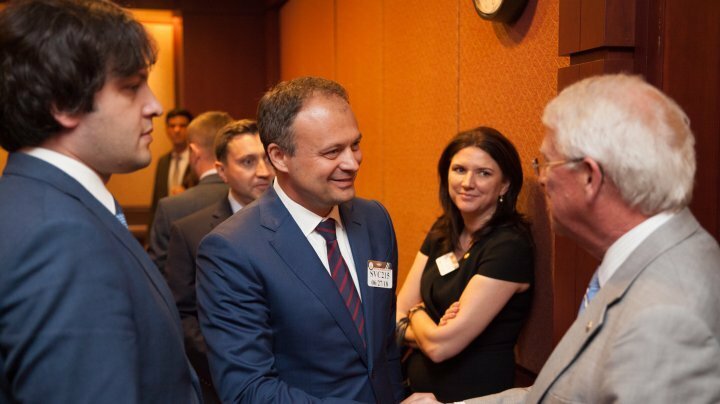 I am glad to know it, " declared Andrian Candu, President of Parliament at an event organized by the US Foreign Policy Council at the US Congress. Andrian Candu mentioned that during meetings, he received support messages for everything Moldova has done. "Today I feel like there was no US support. We are encouraged to continue the cooperation we started in Chisinau between Moldova, Georgia and Ukraine. It will be easier for us to share the experience of becoming members of the European Union, "the President of Parliament said. Andrian Candu mentioned that this project is a good start to draw new interests and to identify solutions in the region to diminish the influence of the Russian Federation, including on the scale of combating propaganda, misinformation, liberation of occupied territories and last but not least - energy security . In this context, "the full and active support of the USA is very important" is the emphasis of the Parliament President who recalled that the resolutions in support of Moldova at the US Congress and the UN vote last week are political acts based by the American politics. The three presidents of the Moldovan, Georgian and Ukrainian Parliaments, supported by the Lithuanian speaker and the deputy speaker of the Polish Parliament, are discussing the security risks posed by the unsanctioned presence of Russian troops in the area, the hybrid war, human rights, energy security in Eastern Europe, as well as the reforms implemented and the European path of the three states.